I just returned home from a couple of weeks in New York, and while I wasn't able to get out as much as I would have liked -- 'cause, y'know, lupus is the gift that keeps on giving -- I did manage to see Net, my "Sister from Another Mother" in New Jersey. 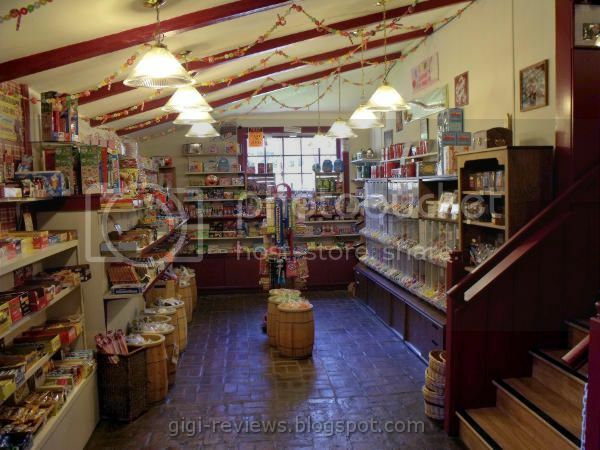 And I can't thank her enough for taking me out to Peddler's Village, just over the New Jersey border in Bucks County, Pennsylvania. 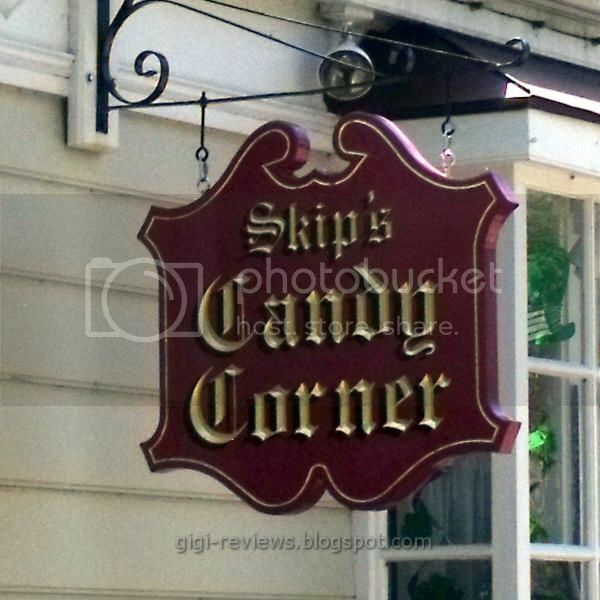 We had a fantastic day overall, but certainly one of the highlights was a visit to Skip's Candy Corner. 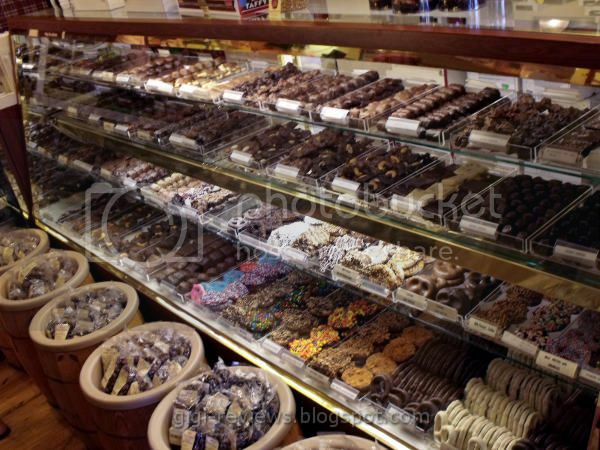 You know that expression "kid in a candy store?" Yup, that was me. Actually, think "overly hyper and caffeinated-up food blogger with a debit card" -- that would be more accurate. But good grief, Skip's (and to be honest, Peddler's Village overall) has so much stuff that I'm lucky that I didn't see it all. 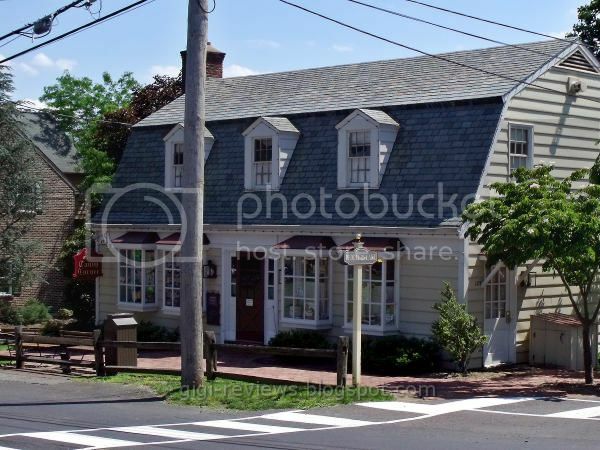 As it was, I was debating whether or not I really had to pay the rent...and that's not because the prices were tourist-trap outrageous (which, by the way, they were not), but because I literally could have taken 90% of the store home. Drooling yet? If you aren't, don't complain to me -- complain to a psychiatrist! Once again I have Net to thank: she knew she had to take some fudge home and made her purchase in advance -- and we ended up talking to the fantastic woman who was manning the store at that time (I am so sorry I didn't get her name -- honestly, I was so overwhelmed by the all the sugary goodness surrounding me that I wasn't paying as close attention as I should have). 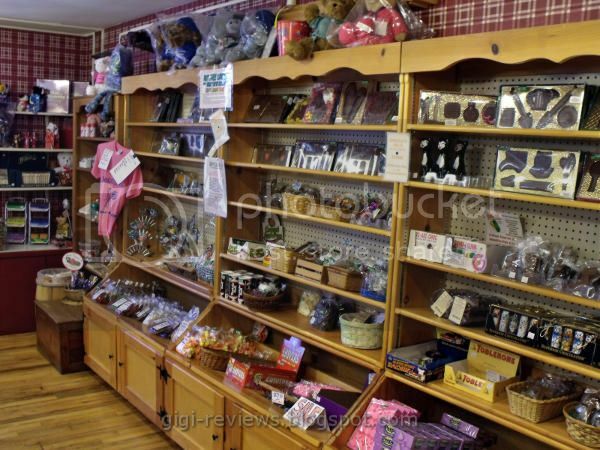 Well, as she explained to me, all of Skip's fudge is made in house. And to make a long story only somewhat less long, she ended up sending me home with some fudge for review! 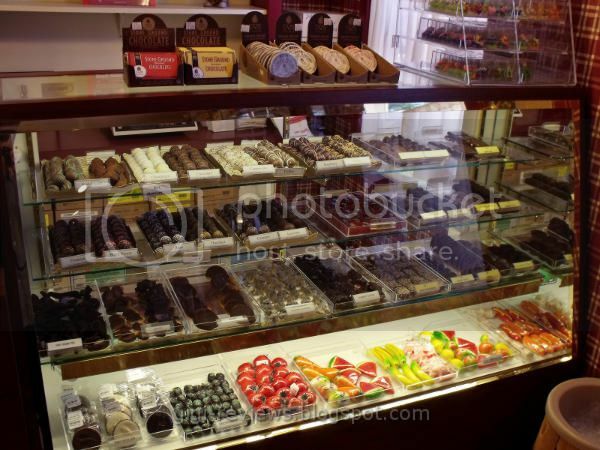 As you can see below, she gave me five different varieties to sample. This is the one I thought was going to be my favorite, as you all know about my current obsession with anything salted caramel. 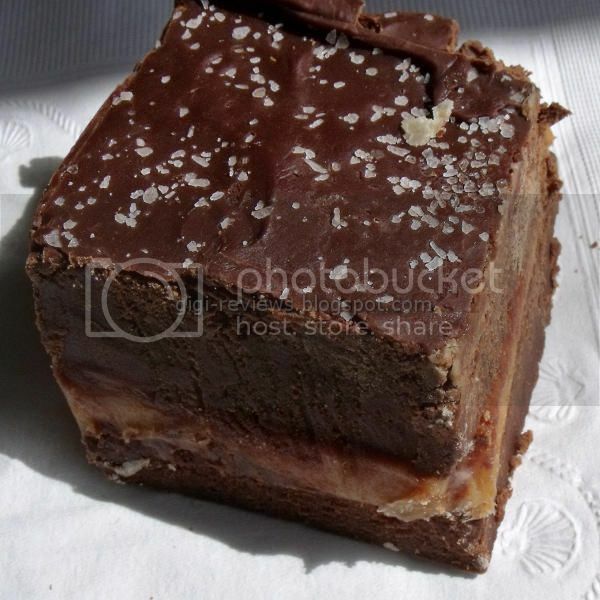 This one has a layer of caramel sandwiched between two layers of chocolate fudge, and is topped with large flakes of salt. And yes, I was right, it is my favorite. 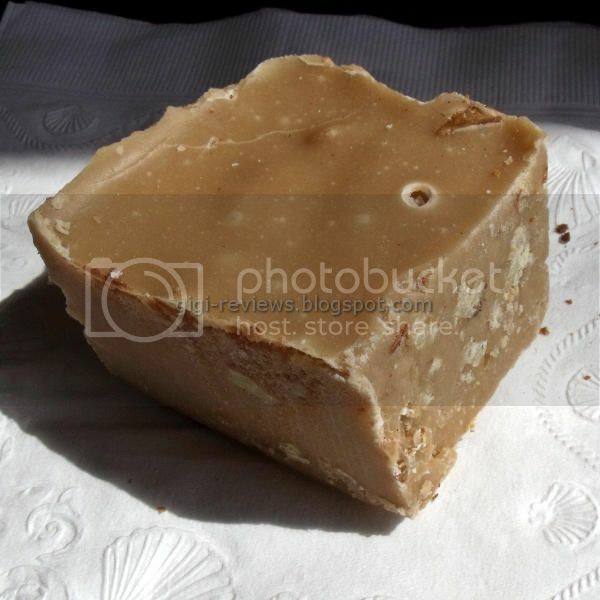 The fudge is rich with just a little bit of grain to it. The caramel is of the more solid varity, and while it pulls apart easily with some some stringing, there certainly no oozing -- and I think thats really the only way it could be done in this instance. I don't imagine a caramel that was fluid would work well here. 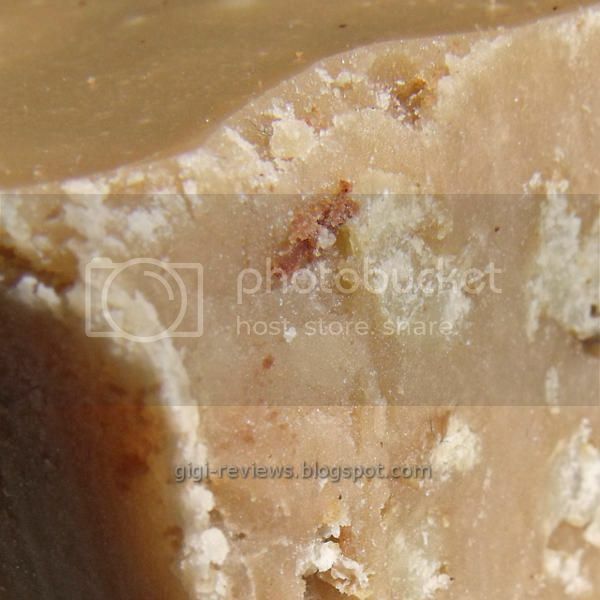 The caramel has a nice buttery note to it, and I would have happily eaten it all by itself. 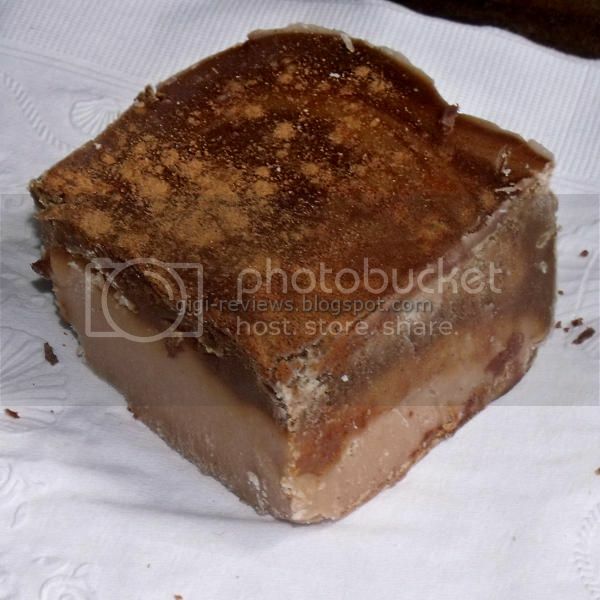 Probably the best fudge I will ever have! The only thing I would have changed is salt flakes on top. 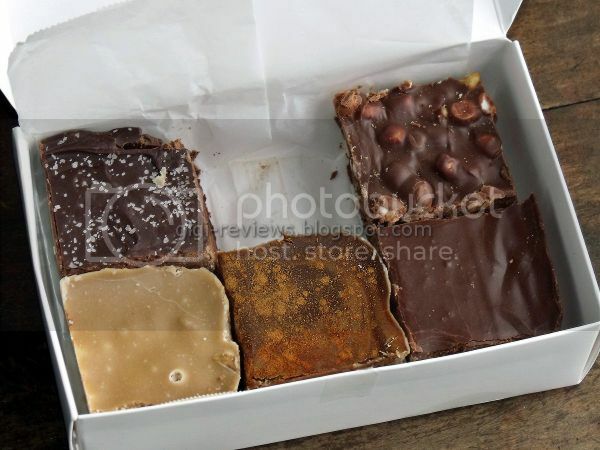 Mind you, I liked them -- but I think a sprinkling on the caramel as well would have pushed this square to the point where its goodness would be outlawed. Hell, it's pretty close to that point now! I always think of this flavor as being one of those classic fudge flavors. I don't care how many times I have had it before; I am having it again. 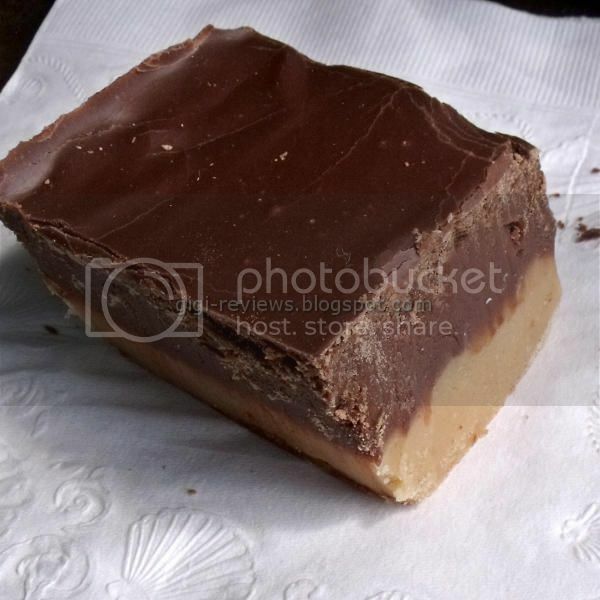 This one has a thin layer of chocolate fudge atop a thicker layer of the amaretto flavored fudge. The chocolate is top notch...but it's the amaretto layer that's the star for me. It has a cool, smooth melt on the tongue, and it is easy to imagine it is this close (*holds thumb and index finger a hair's breath apart*) to being poured from a liquor bottle. The only thing I didn't love about this square was that it is dusted with cinnamon. 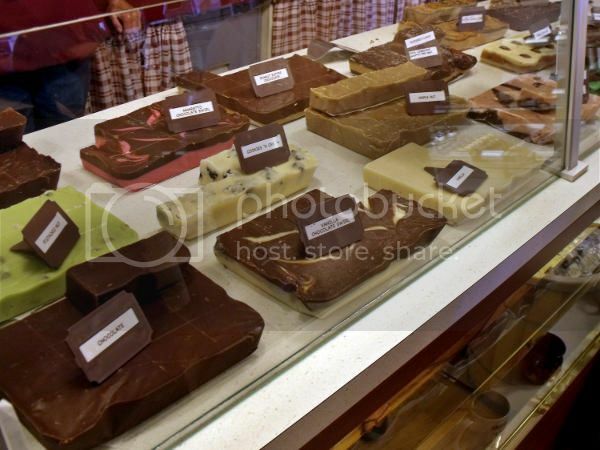 While it makes the fudge look pretty, I just do not care for the combination of the flavors. No problems, though -- the cinnamon is only on the very top, so it was easy to work around. Okay, whenever I get fudge at Disneyland it is always the Tiger Butter (which is what they call peanut butter). Not surprisingly, Skip's has outdone this flavor as well. It has equal layers of chocolate and peanut butter fudge. The chocolate is fab, but it's the peanut butter that I loooooo-o-o-oove. It tastes as if the nuts are fresh and just roasted. It's perfectly smooth with just enough salty tang. Fantastic! Yes. it has marshmallows...which pretty much means Enough Said! Well, all right, I have to say more than that. 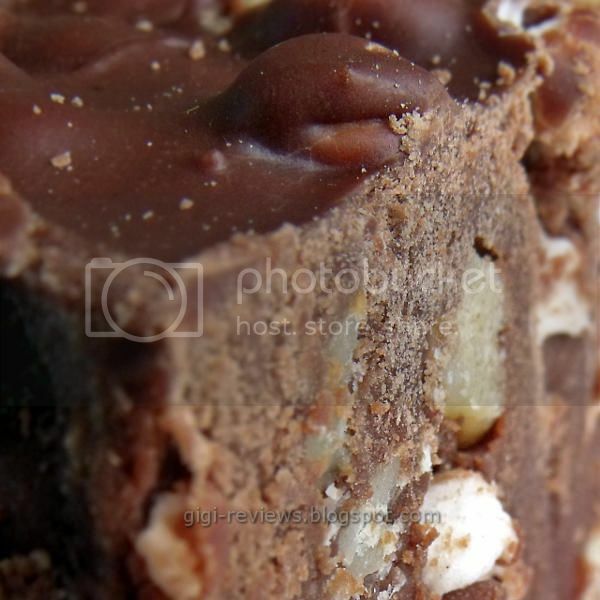 The thing about Rocky Road that I always seem to forget until it's too late is that it also has nuts. I know that sounds stupid, but I usually just eat the marshmallows and work around the nuts. In this case, I forgot to ask which kind they used -- but I am pretty sure it's walnuts. 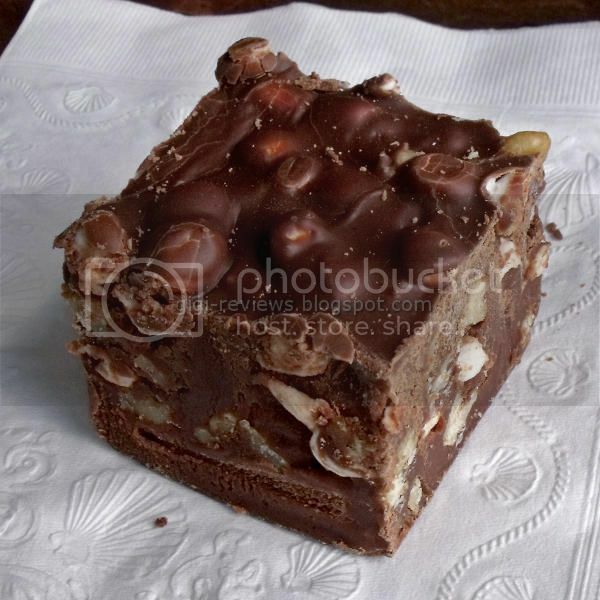 And once again Skip's used chocolate fudge, folded into which are mini marshmallows and huge chunks of nuts. 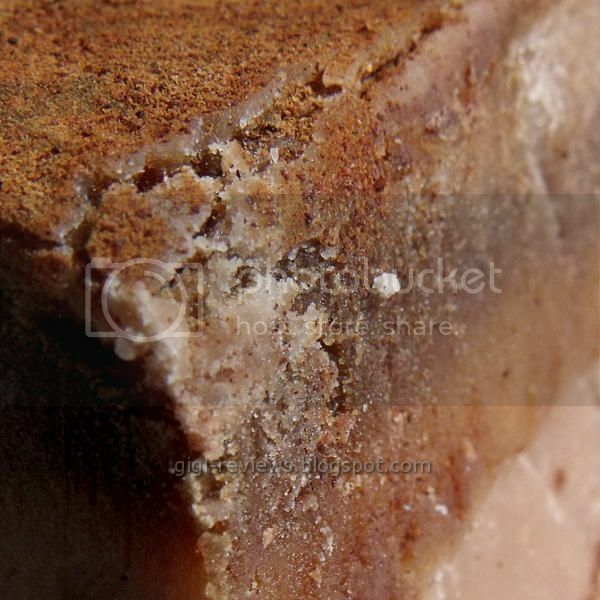 This fudge is so fresh, and the marshmallows are still perfectly moist and gooey! Marshmallow heaven! 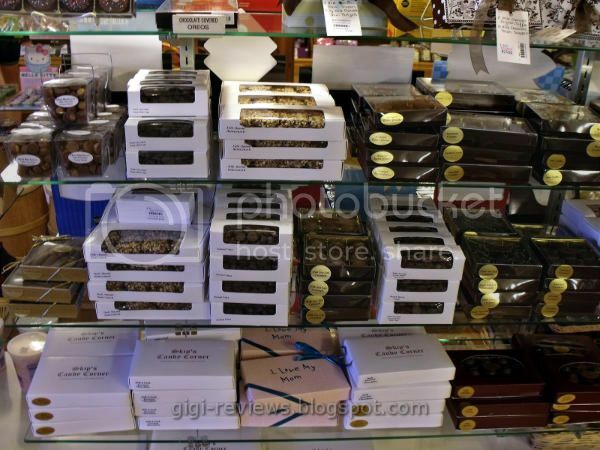 And though I don't usually like them, I also tried the nuts (oh, what I will do for a review!). They are quite crunchy and taste as fresh as the marshmallows -- if you like nuts in your fudge, you will surely love these. So, my own personal nut caveat aside, this one is yet another winner. 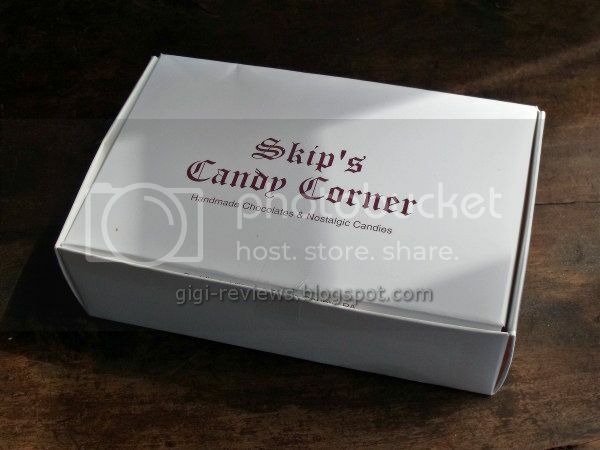 All in all, there is no shortage of great things I could say about Skip's and their fudge. But don't think I am just torturing you guys with things only locals can get hold of. Skip's will ship their goodies to you anywhere in the U.S. -- and perhaps even outside the U.S. as well. Check out Skip's website for more info. I cannot wait to go back in few months! First, let me apologize for the crappy "Cops" style camera work. I am still getting used to my iPhone, and it shows. With that in mind, if I had the opportunity to re-shoot this, I would. But I don't, and I thought it was really unique, so therefore we will all just have to deal with my crappy camera work. At the Andretti Indoor Kart Racing & Games in Roswell, Georgia, they have the most unique claw machine since "Toy Story." For $2.00, you have the chance to win yourself a live lobster! The tank didn't have any info on it as to the weight of the lobsters -- but based on entirely too many years of being a server at Red Lobster, I would say that they're about 1.5 lbs. I asked the server how often people really won, and she said that the lobsters often end up meeting the claw. So, if you're in the Roswell area and feel like catching your dinner without actually having to brave sun, bugs, and lack of air conditioning...this is definitely something to check out!